From the Lead Writer of BioWare's Mass Effect 2 comes the graphic novel, Mass Effect: Redemption! Thanks to Dark Horse Comics, we are giving members of The Escapist a chance to win a copy of the graphic novel! 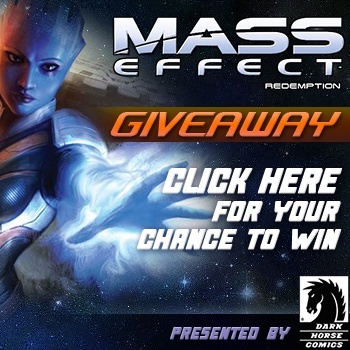 Beginning today, you can enter into the Dark Horse Comics Mass Effect: Redemption Giveaway for a random chance at one of ten copies of Mass Effect: Redemption. Location doesn't matter - United States, England, Japan - anyone can enter and have a chance at winning a copy of the Mass Effect graphic novel. For a full list of rules on how to enter and the timeline for this event, please click here.